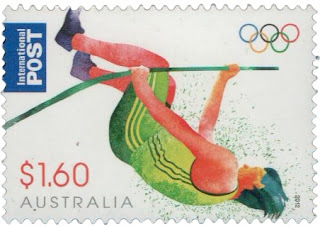 It is perhaps clear that although I have titled this post "recent acquisitions" some of the stamps I am featuring are not that recent, given that I am beginning this post with the Australian Olympics stamps, which are obviously several months old by now. 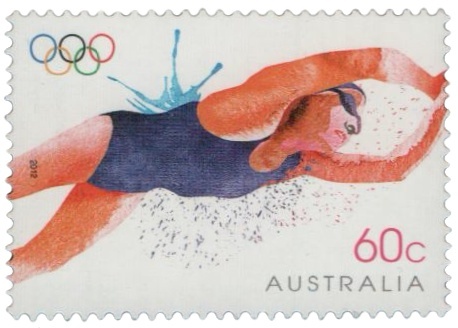 Although I am not really a sporting sort of girl, I was really impressed with Australia Post's offering this Olympics, as I really like the watercolour splattered effect and the bright colours used. 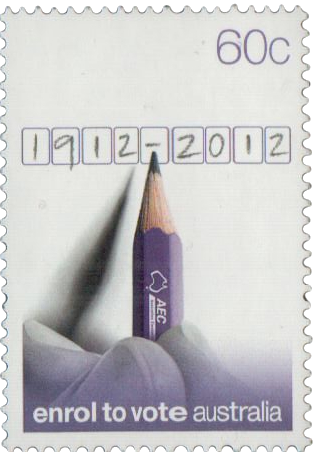 The "enrol to vote" stamp, another one that I really like, was actually issued all the way back in March. 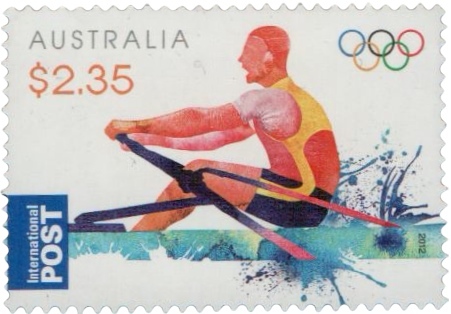 But the reason that I still think of these stamps as "recent" is that I tend to buy my stamps only once every few months. 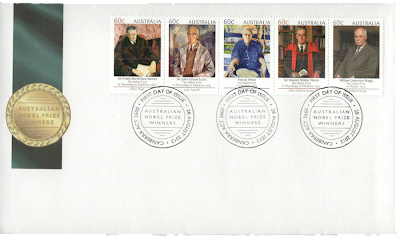 All the stamps that I am featuring in this post I bought recently (in a sense) but they also feel new to me, because they haven't made it into my album yet. Until I got them out to scan they were still sitting in their packets. 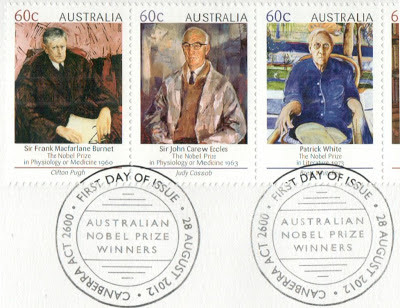 The above stamps are portraits of Australian Nobel Laureates. I bought the above set because it had a cool illustration in the gutter. And I love a good gutter strip. 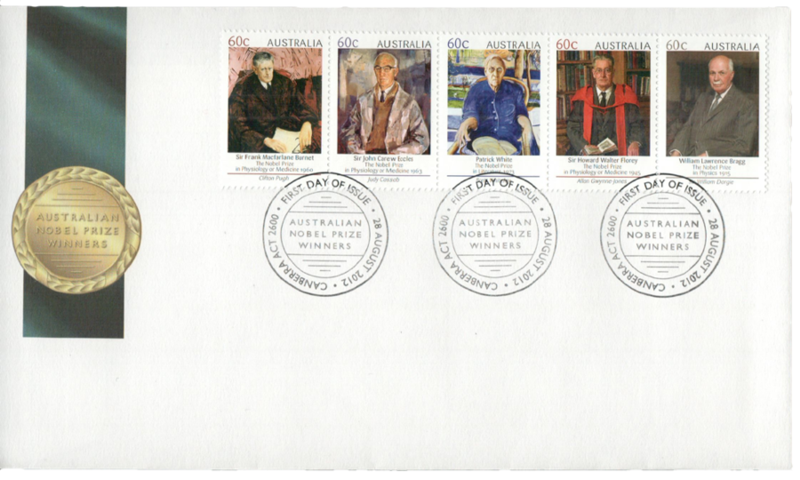 But I also really like the portraits, which are painted by some very highly-regarded Australian artists (Brett Whiteley and Clifton Pugh among them). 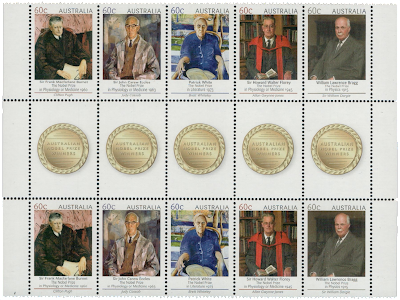 I just think they are a lovely set of stamps. So lovely, in fact, that I accidentally went a little crazy and purchased the First Day Cover as well! Okay, fancy Gutter Strip set AND First Day Cover? Uh-oh... this could be a sign that I am turning into a crazy cat lady. Without a cat, but with a stamp collection. But checkout how the postmark on the FDC matches the gutter strip image. Cool, huh? can be found in all habitats from the deepest ocean to the shorelines of every continent. They come in many sizes are beautiful to behold and have developed survival strategies which defy the imagination. 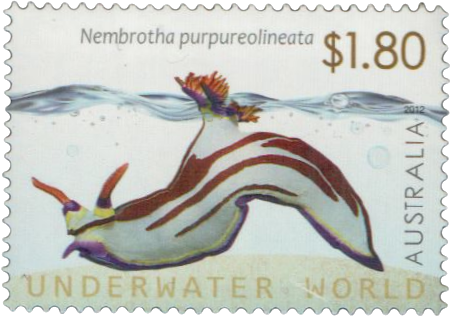 I still don't quite want to commit to the tiny nudibranchs as my favourite stamp issue of the year. 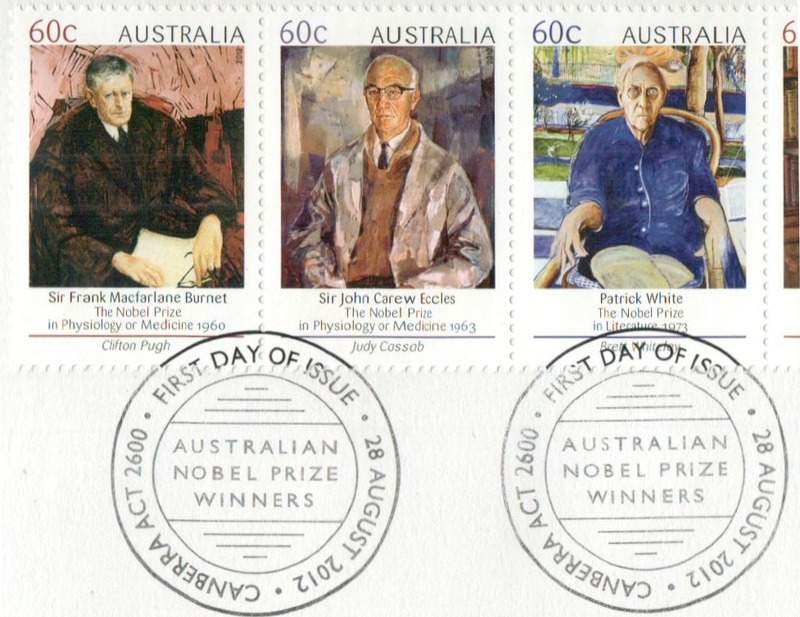 I like them much better than the road trip stamps, but perhaps the Nobel Laureates are my favourite stamps of the year. Perhaps. As always, I find it hard to pick a favourite! How can the set with a split screen Kombi not be your favourite? I grant you the nudibranchs are cute....but hey remember your roots! I like you new look, by the way! very fresh looking. 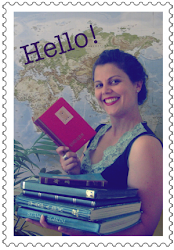 I mostly collect postcards and the stamps are - were - a byproduct of that. but I can see myself getting excited over little details, too!